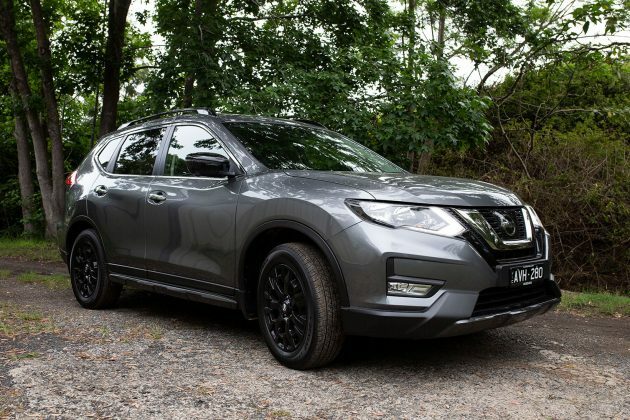 WE initially thought we’d have to use the thesaurus extensively for this review of the 2019 Nissan X-Trail ST-L N-Sport (what’s another word for good? ), but at the end of our time with the 2WD variant, we would happily park it in our garage, permanently. That’s a big call we know, but Nissan also claims pole position for the X-Trail as the best selling SUV worldwide, such is the X-Trail’s reputation. That’s because it’s been around since 2000, having immediately established itself as a comfortable, mid-size family SUV. You may not realise you’re passing the new X-Trail on the road though, because it looks well, functional. Gone is the older X-Trail shape; boxy and unimaginative. Instead we have the face lifted third generation, first launched in 2017. But it’s a tall order to stand out in today’s crowded SUV market. There are a few models out there that are really pushing things in terms of looks, challenging us with some crazy shapes. 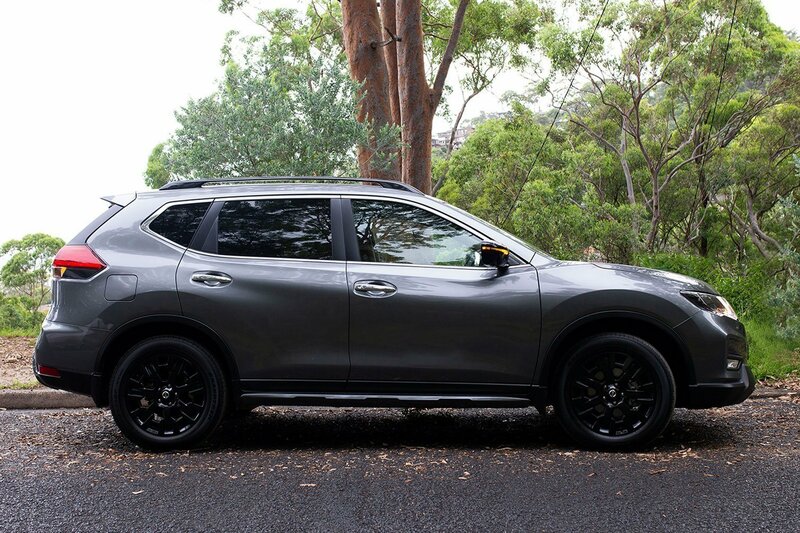 The 2019 Nissan X-Trail is not one of these, even with the added N-Sport mods. That’s not to say it’s not a bad looker. Its only aesthetic sin is that it looks very similar to its more standard competitors. But after being initially underwhelmed by the X-Trail’s appearance it did grow on us. It has the pleasing curves, sloping profile and neat, jutty behind that we’ve come to expect from modern SUVs. The bonnet sweeps nicely, in line with the headlights and the LED daytime running lights which form a nicely contrasting lightning bolt shape. The signature Nissan V-motion grille also adds some angles and creates a powerful and dependable face. It looks a little like a Transformer at rest, waiting to leap into action and defend you. Okay, that may be a tad fanciful, but it is the strong, silent type. Based on the mid-range ST-L five-seater petrol model, the limited N-Sport model (only 600 are available) adds a fairly limited black sports pack, basically offering an extra inch of wheel and some black accents. The 18-inch black alloy wheels (rather than the standard 17-inch silver) do look good, as do the glossy black side mirrors, side skirts, roof rails, dark chrome front grille and rear bumper. But that’s the extent of the N-Sportiness. No added extras on the inside. The N-Sport comes in four colours, all at the same price – our Gun Metallic, Diamond Black, Brilliant Silver and Ivory Pearl. Those extra black accents all but disappear on the black and are subtle on the grey, but more noticeable on the white and silver. To be fair, you are only paying an extra $2,050, and the ST-L does already come with pretty nice standard inclusions such as key-less entry and push button start, auto headlights, LED tail lights, and some quality interior niceties. The X-Trail feels bigger than it actually is too, with a good, solid build quality that continues inside. Our interior was unrelentingly black and loaded with leather, but it worked. The ST-L features leather accented seats throughout, with the leather continuing across the door panels, console and dash. This black leather cavern feels cool and spacious and has some really nice touches. The seats are super comfy and very generously sized, and heated up front. The driver and passenger seats are power-adjustable six-ways with lumbar support for the driver and four-ways for the passenger. In the back there’s just as much space, with great leg room and head height. The EZ Flex seating system folds the second row in a 60:40 configuration and also features sliding and reclining functions. The flat folding seats are definitely handy as the boot space is a little deceptive. At 565-litres, it’s undeniably on the generous side, but the space is quite high rather than deep. If you can stack your grocery bags like a mini Mexican wall you can fit a large shop. That said, we definitely needed to slide or fold a seat or two for anything bulkier than the groceries. What we do like though is Nissan’s boot genie, the ‘divide n hide’ cargo system. Two removable sections of false floor in the boot reveal a hard plastic storage bin, ideal for wet beach gear or anything you want to stow permanently and out of the way. The panels can be configured in a number of ways, using them as cargo dividers or shelves. You can also remove the floor panels altogether to create a hard tub cargo area, perfect for the muddy golden retriever. With the rear seats folded the boot offers a very spacious 945-litres. Cabin storage is good too, with a capacious glove box, centre console and loose item bins. There are two well placed cup holders up front (with heating and cooling) plus another two in the rear fold-down arm rest, and map pockets and bottle holders in all door panels. Slip behind the stylish and sporty flat bottomed, leather wheel and visibility feels good. For a shorter driver, the headrests are a slight bugbear, but we gave a nod of thanks for the large sun visors and extremely adjustable seat and steering wheel. Smart key entry and press button ignition are standard, as is the left pedal foot brake. Once you’re used to it, and you actually remember to engage and disengage it, it’s really not a bad feature. The X-Trail comes with a five-star ANCAP safety rating. Auto emergency braking (AEB), forward collision warning, and intelligent brake control come standard across the range, backed up by six airbags. The ST-L (and thus the N-Sport) adds a couple more safety inclusions to the list. 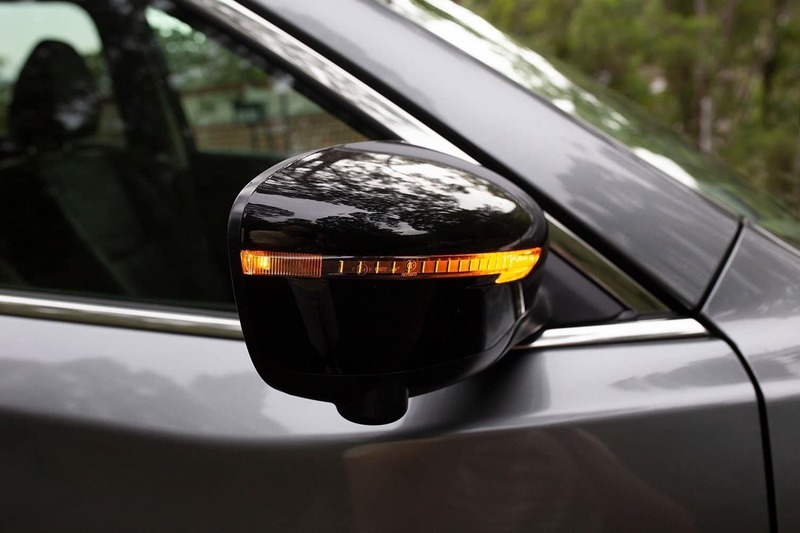 You’ll get cross traffic recognition and a simple and calm blind-spot monitoring system that we quite literally loved. 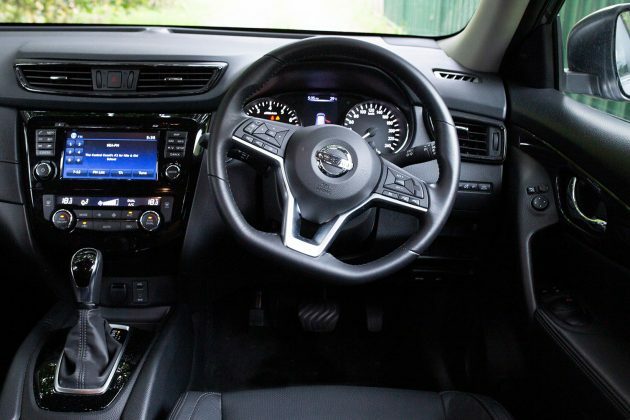 You also get Nissan’s intelligent around-view monitor with moving object detection, which gives you a 360-degree overhead view, handy though it’s not the best quality image. The X-Trail cops some flack for its infotainment offerings though. They’re certainly not fancy, but we found the SatNav reliable and easy to use. Apple CarPlay and Android Auto would be nice but no such luck. You get NissanConnect instead which is baseline adequate at best. Under the hood is a 2.5-litre four-cylinder petrol engine putting out 126kW of power and 226Nm of torque. It’s not super gutsy but we found it a pretty responsive drive. It’s quite nimble and responds quickly to a prod in the side, with nice precise steering too. It was a surprisingly pleasant drive through tight city traffic and a comfortable cruiser on the freeway. Obviously a few glossy black add-ons aren’t going to make the N-Sport perform any better than its ST-L sibling but the X-Trail really does an adequate job. The ride is relatively smooth and quiet with enough pick up for a quick overtaking move. 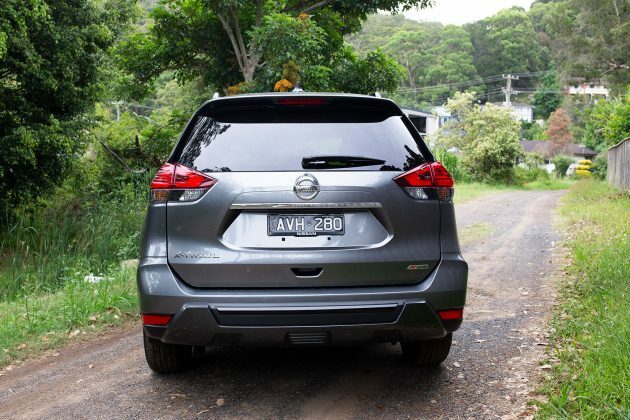 And if you’re someone who enjoys driving you’ll get a rewarding little roar and feel of pace when you plant your foot, but for the most part the X-Trail is a family workhorse. Fuel economy comes in around the same as competitors with an official 7.9-litres/100km. We managed 8.4. Braked towing capacity is 1,500kg, down on other offerings. For example, Mazda’s CX-5 gives you 1,800kg to play with, which is quite a bit more. The N-Sport hits the road at $43,133 drive away. It’s a crowded price point with the Kia Sportage and Mazda CX-5 both playing in the same space. The Kia offers lots and while the CX-5 is a little dearer, it puts plenty on the table too. 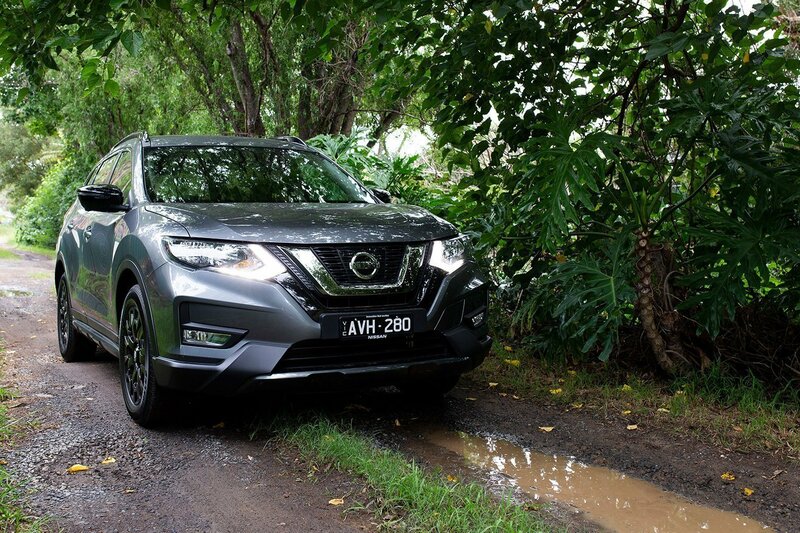 Our overwhelming response to the 2019 Nissan X-Trail ST-L N-Sport is that it’s extremely comfortable, and comforting. It wont set the world alight with amazing tech or quirky good looks, but it’s got you. It’s like the car version of an Old English Sheepdog (watching the flock, not painting with Dulux). While comfort is the real winner here, you can add a surprisingly good drive to the list, along with the proven performance and reliability of this crowd favourite. Updated infotainment would make it a real front runner but we really didn’t miss it in this delightful nanny of an SUV. Our test vehicle was supplied by Nissan Australia. To find out more about the 2019 Nissan X-Trail ST-L N-Sport, contact your local Nissan dealer. Images courtesy of Tim Brand. Pros – comfort both upfront and in the back; great storage across the cabin; surprisingly good drive and handling; feels solid and reliable with simple, usable tech and safety features. Cons – looks a little uninspiring; out of date infotainment; not a lot of extras for a limited release; a lot on offer from other manufacturers at this price point. INSPIRED by the American Morpho butterfly which is renowned for the deep, shimmering blue of its wings, Lexus has created a dazzling new paint shade, known as Structural Blue, that uses ground-breaking technology developed during a 15-year research project.